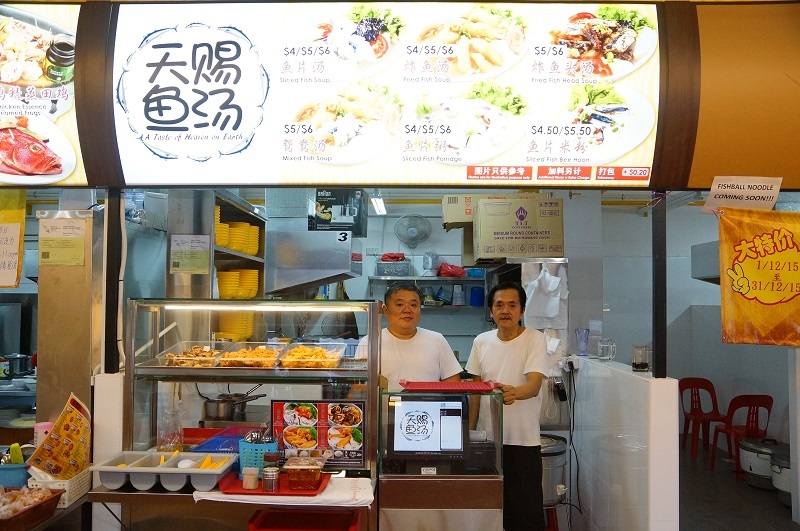 Tian Ci Fish Soup 天赐鱼汤 – a love of the food impelled a lawyer and a Bank Manager to open this month old stall located in the coffee shop at the new Woodlands Industrial site. It was a home secret recipe and embellished the flavour from the fish soup’s chef. 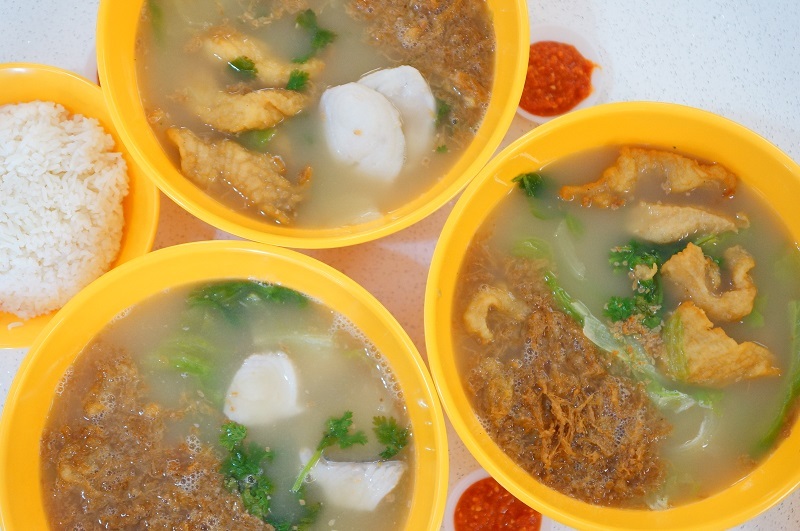 Tian Ci Fish Soup offers fresh Batang fish soup, deep fried dory fish soup and fish head soup, choice of rice or noodle are available. The broth was a light milky white through hours of boiling the chicken bone, depart from the traditional clear soup from most of the fish stalls. The soup was saturated with the sweetness from the turnips and simple seasoning without MSG, it was light but tasty, bitter gourd, lettuce and the deep fried egg floss are added as the accompaniment. Tian Ci Fish Soup uses the premium Batang fish instead the cheaper snakehead sold in some of the fish soup stalls, the Batang fish was thickly sliced and meaty, freshness of the fish is guaranteed taking advantage with its close proximity to the Senoko Fishery Port, a place where the freshest fish stock are available. 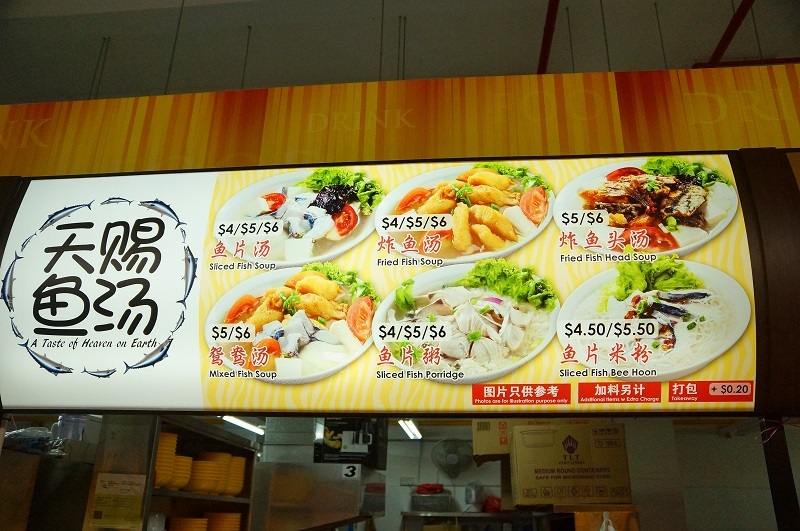 Good deep fried dory fish must have appealing qualities, besides the nice coatings light golden browned surfaces, the ability to retain the juiciness and tender interiors are paramount to a satisfying palate. 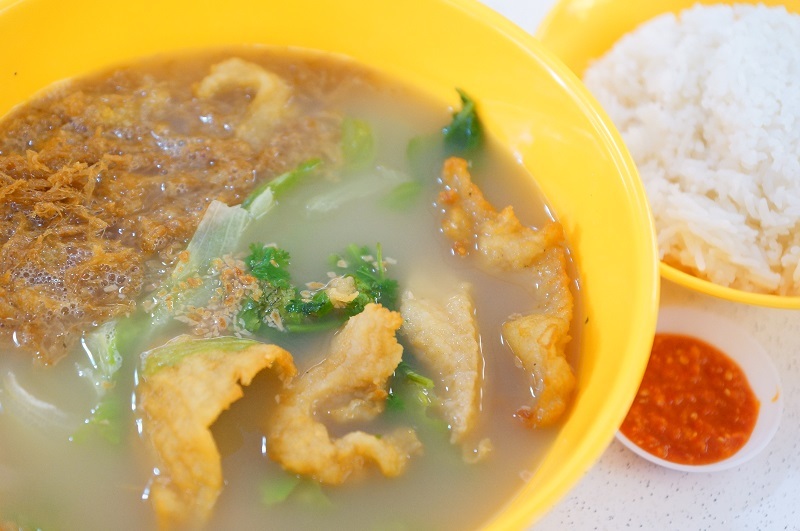 Apparently, we have to applause the beautifully done deep fried fish by Tian Ci Fish Soup. Chili ! Tian Ci Fish Soup is proud of their special blended chili sauce, a family secret recipe that is formulated for the dipping purpose. The chili has a taste of Belacan with the shape spiciness from the chili padi, overall a good compliment for the fish dipping. We can sense the fervor went into each bowl of the soup, the passion may not spilled over the bowl but certainly filled to the brim. 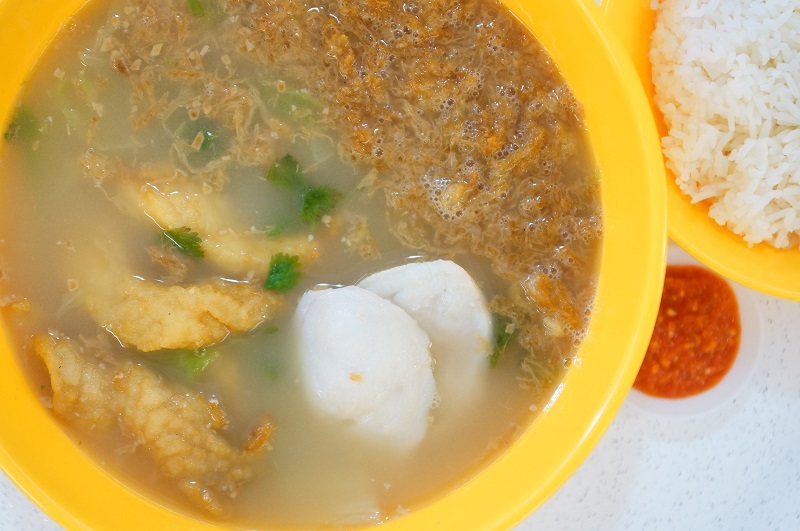 Overall, it is a heartwarming bowl of fish soup that we enjoyed at Tian Ci Fish Soup. We truly appreciate the flavourful soup and the freshness of the Batang fish, it has a good balanced combination of soul foods and a healthy choice worth to try.